In 1967, in Los Angeles, Morris Kessler, with Ted and Beth Winchester, founded Scientific Audio Electronics (SAE), which enjoyed a successful run of 21 years. In addition to Kessler, Sherwood Electronics cofounder Ed Miller, as well as the legendary James Bongiorno, contributed designs. (If you don't know Bongiorno's résumé, please do a web search.) 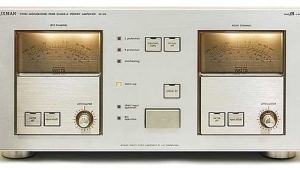 Some SAE products, particularly their big-metered power amplifiers, became objects of desire for audiophiles on the West Coast and, especially, in Japan. 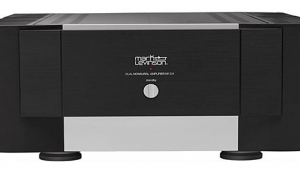 SAE was founded to manufacture Kessler's design for a solid-state amplifier that would sound better than the tubed amps from McIntosh Laboratory and Marantz, which were then the industry standards. 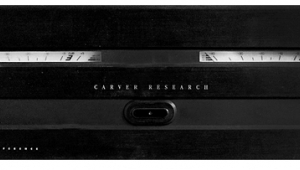 A positive review by our own J. Gordon Holt, in July 1968 (Vol.2 No.6), helped make a success of the launch of SAE's first offering, the Mark Two power amplifier. At the dawn of the high-fidelity era, not long after WWII, a competition began between loudspeakers made on the West Coast, by Altec Lansing and James B. Lansing, and, on the East Coast, by Acoustic Research, Bozak, and KLH. But until SAE came along, the US market and beyond was dominated by such East Coast electronics brands as Dynaco, Eico, Fisher, Harman/Kardon, Marantz, McIntosh, and H.H. Scott. By any definition, SAE was a success. But in 1988, when offered a lot of cash, Kessler sold the company to composer and record producer Giorgio Moroder, who'd made a bundle with his successful disco recordings of Donna Summer. Moroder quickly lost interest, and less than a year later sold SAE to DAKDrew A. Kaplan's venture in mainstreaming audiophilia that some of you might remember for its busy-looking print ads. Kaplan had been buying up familiar brands like dbx, and planned to manufacture existing Kessler designs overseasbut shortly after selling out of existing SAE stock, DAK declared bankruptcy. The Tokai Bank sold off DAK's assets, but not the rights to the many brand names Kaplan had acquired, the paperwork for which sat for seven years in a Tokai desk drawer. Eventually, Kaplan bought back all of the brand names, including SAE, which in 1999 he sold back to Kessler. Kessler told me that the paperwork went from the Tokai Bank's drawer to his drawer, where it sat for another 15 years. But during that time, Kessler wasn't idle. Not long after selling SAE to Moroder, he'd gotten involved in the exotic-car business, though he soon returned to audio. For the home-automation giant Crestron he designed a 16-channel amplifier that eventually sold more than 35,000 units, all built by Amplifier Technologies Inc. (ATI), Kessler's 50,000-square-foot plant in southern California, which makes OEM electronic components. 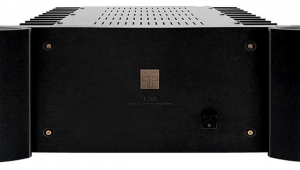 Among the brands for which ATI has built and/or designed amplifiers are Adcom, B&K, BGW, CAT (California Audio Technology), Outlaw Audio, Theta Digital, and a long string of other familiar high-end names. 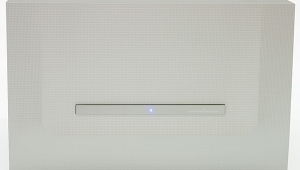 California Audio Technology specializes in ultra-high-performance audio and audio/video custom installations for consumer and professional audio. Using proprietary loudspeaker drivers and cabinets made in-house, and electronics designed and built by Kessler's ATI, CAT outfits recording studios, ultra-high-end yachts, private airplanes, and home listening rooms for celebrities and other people of means. 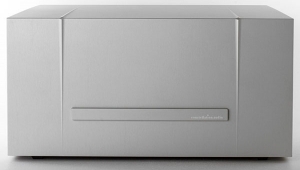 Most audiophiles are unaware of CAT, which has virtually no traditional retail presence. 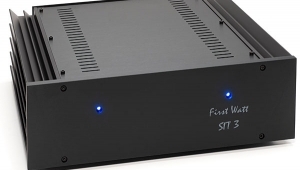 Nonetheless, for the past few years Brian Barr, CAT's founder and CEO, has been demonstrating at audio shows CAT's powerful two-channel systems. 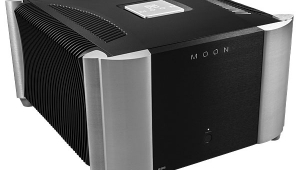 At the 2016 Consumer Electronics Show, a $100,000 pair of CAT speakers, driven by SAE's new 2HP-D power amplifier ($19,995), produced the loudest, cleanest sound "old rocker" John Atkinson heard at that show (footnote 1). John Atkinson asked if this even older rocker would like to review the 2HP-D, and of course I said yes. 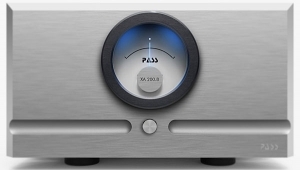 I called Barr, who told me he'd licensed the SAE name from Kessler, and had him design the new amp to Barr's specifications. After receiving and installing the 2HP-D, I spoke on the phone with Kessler. It was clear that this veteran of more than half a century of electronics design was happy to once again see the SAE badge on one of his amplifiers. 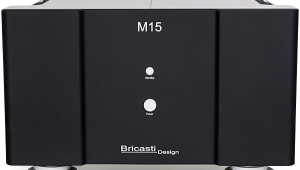 Brian Barr's goal was to bring to market, at a list price of about $20,000, a technologically sophisticated, powerhouse class-A/B amp that was superbly built and measured likewise. To achieve that, he had to forgo the fancy outer shells that surround most of today's high-performance, luxury audio gear. Nonetheless, the SAE 2HP-D weighs just shy of 100 lbs. 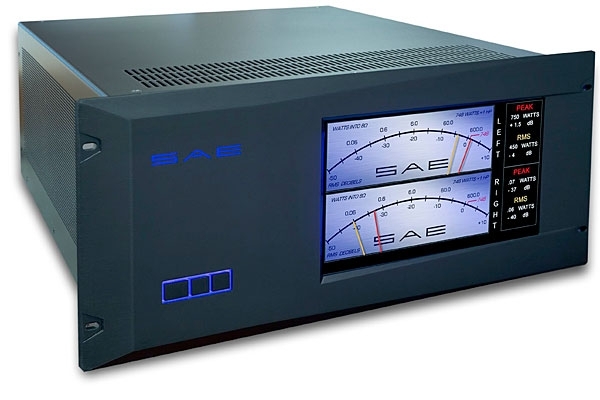 If you look online, you'll see that much of what SAE originally built would look more comfortable in a studio rack than on the floor of a high-end audio salon, and in that sense the 2HP-D is a traditional SAE design. 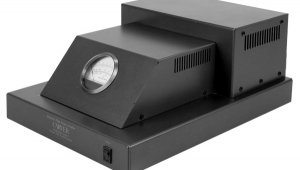 Instead of shiny milled aluminum, the 2HP-D is enclosed in a utilitarian but substantial case with a wraparound top plate and a thick, anodized-aluminum front panel. It's attractive but low-key. The main attraction is the large fluorescent screen, which is anything but shy. 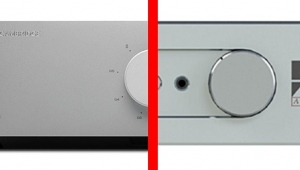 At the push of a front-panel button it can give you virtual versions of the meters for which SAE, like McIntosh, is famous (though these are arrayed vertically, not side by side). Or you can choose to display peak and RMS watt readings, as well as real-time spectrum analysis. The 2HP-D is a dual-mono design, with separate and independent power supplies, power switches, and AC jacks and cords. Two large, toroidal power transformers visible behind the front panel through the top-plate vents feature separate and independent windings for the input and output stages, as well as independent windings for each half of each balanced amplifier, in addition to independent bridge rectifiers for each half. The circuit boards are four-layer, with separate power and ground planes. The boards are laid out as mirror images of each other, with a perfectly centered ground point; the result is a circuit that is both electrically and physically balanced. The 2HP-D outputs 600Wpc RMS into 8 ohms, 20Hz20kHz (<0.01% THD), or 1200Wpc into 4 or 2 ohms. At 1kHz, 0.01% THD, it outputs 746Wpc, or one horsepower, hence the model name: 2HP-D. The 2HP-D's distortion figures (see "Specifications") are extremely low, and vary very little at either 10W or at rated power. The bandwidth is wide (+0/3dB, 5Hz150kHz, into 8 ohms), the slew rate fast (>60V/µs), and the signal/noise ratio high: 128dB ref. rated output, A-weighted. Morris Kessler says he achieved these impressive numbers by designing the 2HP-D as a true balanced, fully differential circuit with a single input stage, and a four-quadrant output driving two identical power-output stages. Because there are positive and negative differential output stages but only a single input driver stage, the 2HP-D is not a bridged design; his architecture, Kessler said, ensures perfect signal balance, and common-mode rejection superior to that of a bridged amplifier, in which reducing noise and distortion is far more difficult. With his approach, Kessler said, the circuit can achieve 6070dB common-mode rejection, for lower noise and less distortion. That said, such a design requires unique ways of using feedback and DC offset. The 2HP-D's feedback is based on current, not voltage, which Kessler says produces a faster slew rate, a better S/N ratio, and wider bandwidthbut also creates problems in DC offset that are addressed using a differential-mode DC servo that compares both sides to 0 between the terminals: other than at the input, the 2HP-D is not referenced to ground. 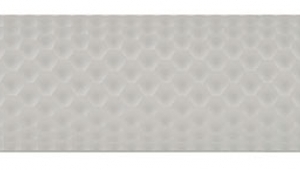 The speaker thus "floats" between the output stages, which is why the instructions warn against connection to a common-ground speaker or subwoofer. The 2HP-D's output devices are ThermalTrak bipolar transistors, which are used by a number of manufacturers. Temperature sensors within each transistor provide information that helps produce precise, real-time bias tracking. While these sensors can be used on their own, SAE adds a special stabilization circuit to maximize real-time sensor accuracy; this allows the powerful class-A/B amp to run relatively cool by avoiding overbiasing. The 2HP-D includes a switchable fan that I never had to use. 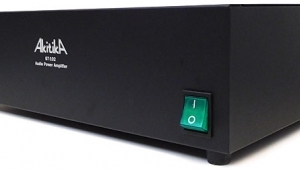 If JA's findings match SAE's published specs, the 2HP-D will prove to be among the best-measuring amplifiers reviewed in Stereophile: the numbers are that impressive. But what about the sound? Brian Barr visited for the setup, bringing with him two sets of 20-amp IEC power cords. One, branded SAE, was what he proposed to bundle with the amp; the others were experimental cords built by some serious audiophiles who worked for Broadcom and Google whom he knows. We didn't get far. 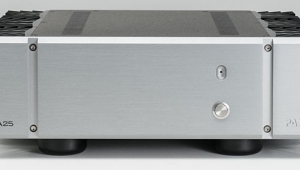 The combination of SAE 2HP-D and my darTZeel NHB-18NS preamplifier, which is single-ended but has a transformer-coupled balanced output, produced a nasty hum we couldn't get rid of. Not the 2HP-D's fault, of course, but my reviewing it had to wait. Within a week, darTZeel's founder, Hervé Delétraz, surprised me with his new darTZeel NHB-18NSyes, he's kept the old name for a totally new preampthe balanced output of which is electronically derived. That eliminated the hum. After listening for a while to the new NHB-18NS with my reference darTZeel NHB-458 monoblocks, to assess the new preamp's sound (in a nutshell: greater transparency, speed, and grip, and even "blacker" backgrounds than the old), I switched to the 2HP-D, using the SAE-branded power cords plugged into my Shunyata Research Triton and Typhon power conditionersthe SAE cords weren't long enough to reach my AudioQuest Niagara conditioner. I placed four Stillpoints Ultra SS feet under the 2HP-D and settled down to do about a month's worth of listening. At first, no surprises . . .
What I heard generally mirrored what I'd heard at the 2016 CES through unfamiliar CAT speakers: From top to bottom, the SAE 2HP-D was spectacularly fast, taut, and lean in a very pleasing way. It was also transparent and quiet, with a sound that was, overall, tonally neutrala sound that would be welcome in a recording-studio monitor system, so revealing it was in sorting good recordings from bad, and especially in allowing each of the many front-end components that were going in and out of my system at the timeDACs, phono preamps, cartridgesto express itself. I enjoyed this review on a variety of fronts. I am glad to see SAE back on the scene. I had an SAE tape deck back in the day, before abandoning cassettes for my first Kyocera CD player. I hope that SAE comes out with some more products. This review was also a walk down memory lane of California entrepreneurship from the 1980s. The story of rise, fall, and rising again (in the 1980s, 1990s, and today) provided lessons going far beyond the audio hobby. It's good to see a legacy California business bringing back brands once left for dead. It's even better to hear of an existing electronics manufacturer in the US, standing in the shadow of downtown/East LA and Dodger Stadium. It's "To Die and Live (Again) in LA" with this great historical essay on SAE, Southern California industrial resourcefulness, a comeback that none expected, and a repurposed and retooled operation that was in the background but never really went away. As an epilogue to this story, Tokai bank itself was swallowed up in a merger with Sanwa Bank (I remember the Sanwa Bank tower in downtown LA). Later these components all fell into the current Bank of Tokyo/Mitsubishi UFJ conglomerate. It's another great testament that SAE, in light of all of this, now comes back as an independent brand, still tethered to its original founders, while the one-time creditor has now been absorbed through a series of mergers back home.